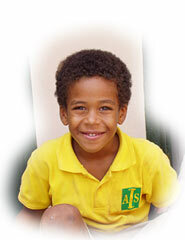 AIS operates as a private non-profit school to serve the national and international community. 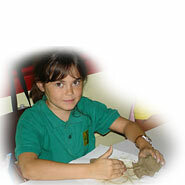 AIS provides quality education in the traditions of classic, conservative ethics and values. The school ministers to the whole person; therefore, its program is directed toward individual development and enrichment in the following areas: intellectual, physical, moral, spiritual, and social. The program incorporates citizenship training, character development, personal values, and ethics. Emphasis is placed on instilling respect for citizens of all nations and specifically the country of Ghana, our host nation. Develop in each student a mastery of communication and learning skills. Develop responsible individuals who possess the ability to think clearly, logically, and independently who will be productive members of society. Develop in each student an understanding and appreciation of cultural, social, scientific, economic, and political ideas and practices. Develop in each student interests, skills, and attitudes which contribute to the worthy use of leisure time. Provide health and physical education enabling the student to live energetic, wholesome, and productive lives. Provide opportunities for each student to develop and appreciate ethical and cultural values, with particular emphasis on the local language and culture. Provide a program of student activities designed to develop competent, self-directed, and responsible social interaction in an atmosphere of mutual respect and cooperation.